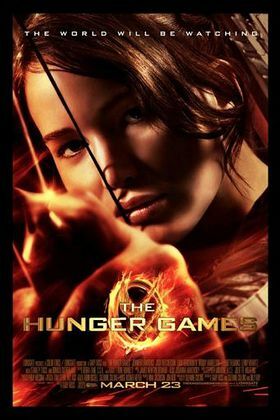 The countdown has officially begun until The Hunger Games hits theaters on March 23, 2012. For Panem fans, the wait is almost as excruciating as waiting to see which tribute is the last standing, so to get true die hards the first look at Katniss, Peeta and the gang on the big screen, Charitybuzz.com is auctioning off tickets to the premiere in Los Angeles on March 12. Cinna may not dress you in custom-designed gown for the big night, but you and a friend will walk the red carpet alongside Jennifer Lawrence (Katniss), Josh Hutcherson (Peeta), Elizabeth Banks (Effie), Liam Hemsworth (Gale) and the rest of the star-studded cast. As you make your way to the viewing party of the century, you’ll sit like a VIP from the Capitol during the film and afterwards, you’ll enjoy exclusive access to the film’s after-party. The auction will benefit The Johnson Center for Child Health & Development, whose mission is to advance the understanding of childhood development through clinical care, research, and education. Bidding on this incredible package to the hottest movie premiere this season is open through February 29 here.